…at least without a mask, goggles and a fan. 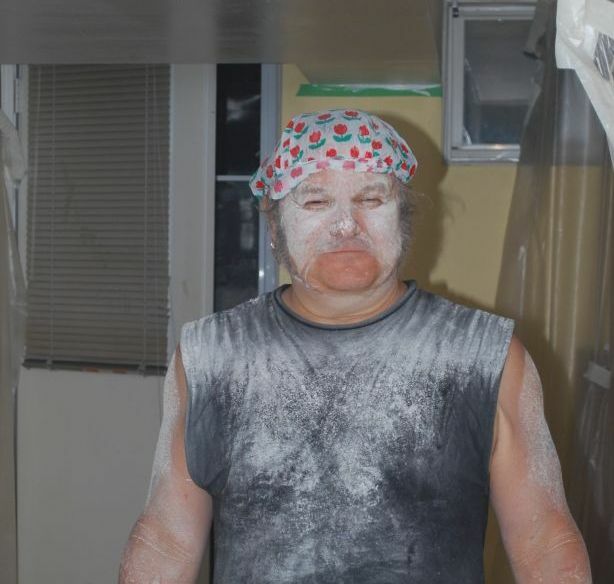 Sanding drywall can be…a tad messy. But amusing, as it turns out. Especially if you have a manly looking shower cap and a camera handy. But on the plus side, just look at how smooth the ceiling is!